I had a few hours to spar e while I was in the city, so I walked from Little India, all the way down Serangoon Road, past office buildings, construction sites, hotels and museums. It seemed awfully quiet for midday in Singapore, when the roads would normally be full of cars, the sidewalks buzzing with pedestrians, office workers and tourists. I attributed the low intensity (and density) to it being the day before Christmas Eve; assuming that people were either still at work, or out of town or home preparing for the holidays. 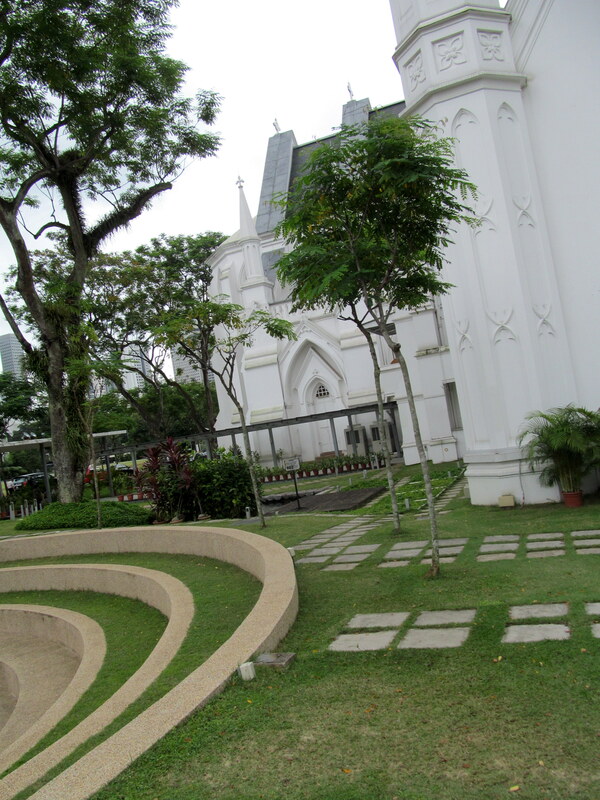 After a couple hours of walking, I was in dire need of rest so I headed to my usual and favorite resting place in Singapore: the lawn of St. Andrew’s Cathedral, where I tend to stretch out on my back on a grassy patch, my umbrella angled just so, to ward off midday sun and heat. But alas, five minutes or so before arriving at my idyllic midtown oasis, the skies opened and the rain came falling down. Oh no, mucky muck instead of dry grass. The rain tapered off quickly, leaving wet patches all over the grass. Still, people were milling about inside and outside the church information center, a busload of elderly patrons walking around undeterred, slurping forkfuls of noodles from their pre-packaged boxed lunches. 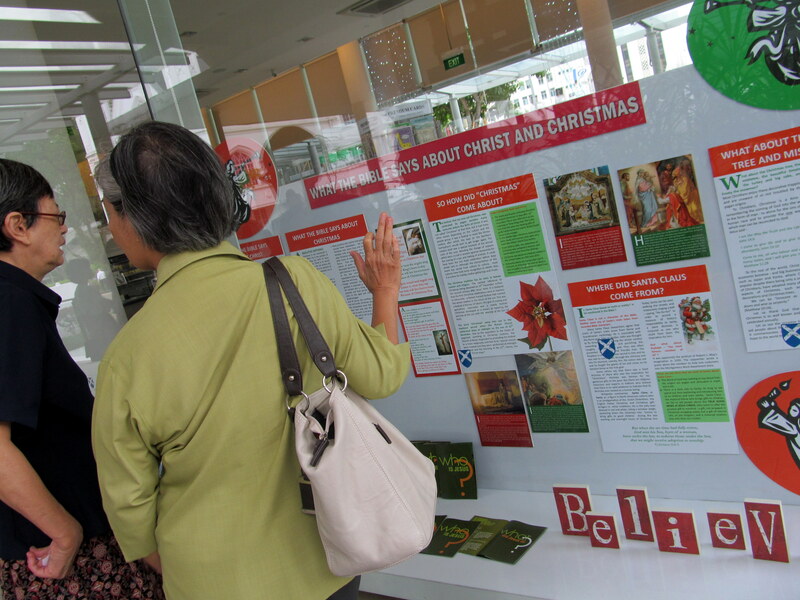 Some gathered around windows reading from posted notices, engaged in discussion about (perhaps?) 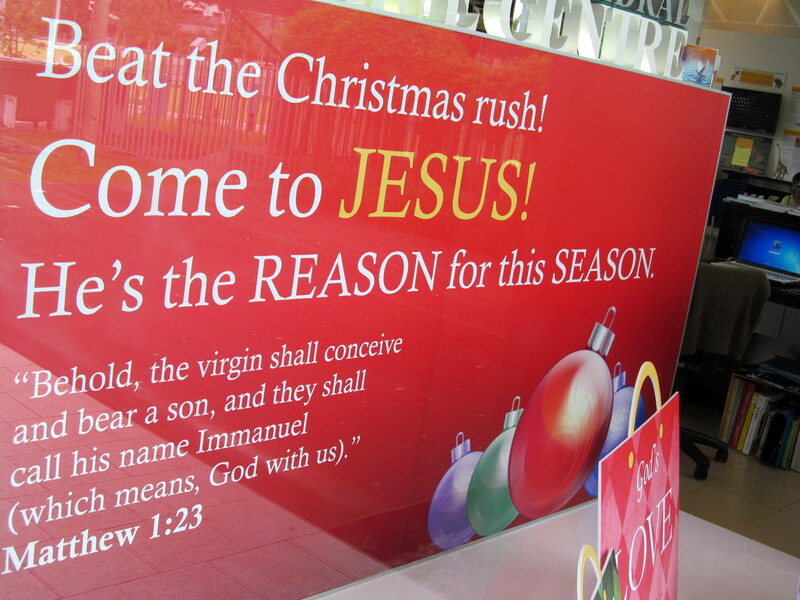 the spirit of Christmas. Since I couldn’t rest outside, I decided instead to head into the Raffles City shopping center across the street, hoping to get a bite to eat in the lower-level food court. 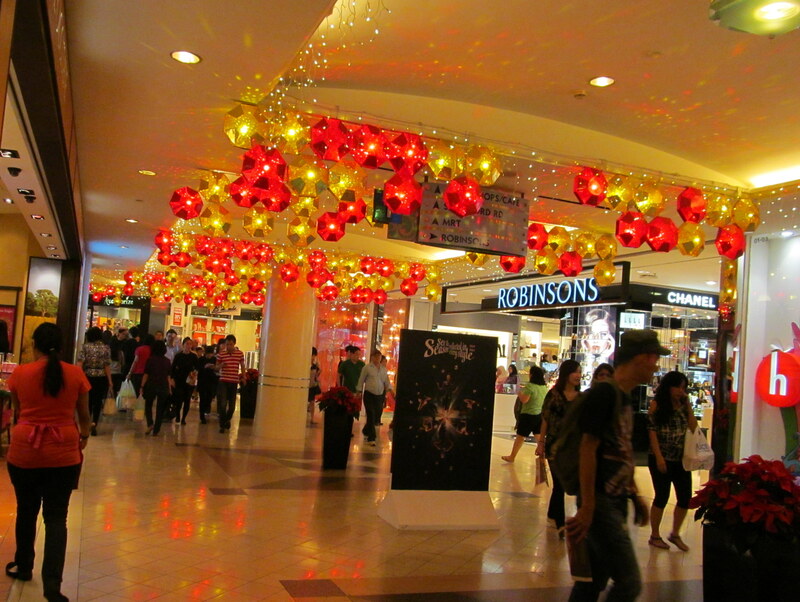 As soon as I walked in the door to Robinson’s (department store), the answer to Singapore’s emptied streets became readily apparent: EVERY ONE was in this mall, shopping for who-knows-what-else-they-don’t-need at Christmas time. All at once, the buzz, the lights, the rushing, to-and-froing, the throngs, the bags, the lights, glitz and glamor, sucked out my energy like a parasite gone haywire. Out of curiosity, I stepped into one of the multitude of high-end brand name stores, picking up a collapsible umbrella and nearly dropping it when I glimpsed the price on the tag: $125. I quickly did the math and figured that I could stock up on two years’ worth of umbrellas in Bali for that price! The scene reminded me of a film I’d watched earlier this week at the Yoga Barn. Called What Would Jesus Buy?, the movie profiled an American activist named “Reverend Billy” who formed the Church of Stop Shopping. With a choir of like-minded performers, the Reverend heads out into the streets and malls of America to ask people why they feel compelled to buy, buy, buy in the weeks leading up to Christmas; do they really need ALL that stuff? It’s a humorous and sometimes jarring romp through the consumerist craziness that Christmas has become. By the time I’d finished eating my veggie wrap, watched hundreds of zealous shoppers and diners zip by, and saw enough SALE signs to last a lifetime, I was more than ready to call it a day. Thanks for this. Not surprised that they were all in the mall. 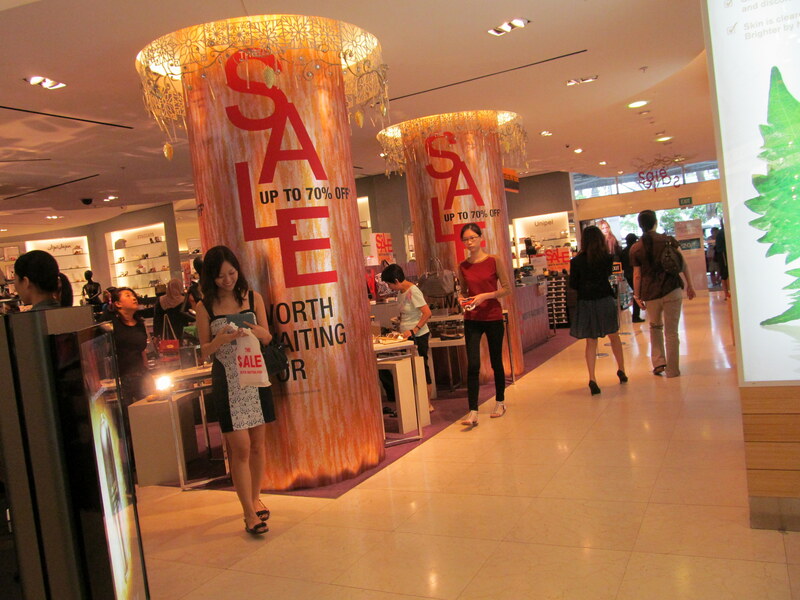 My experience of singapore: it is sadly occupied by serious materialism and the low-grade depression that accompanies it. 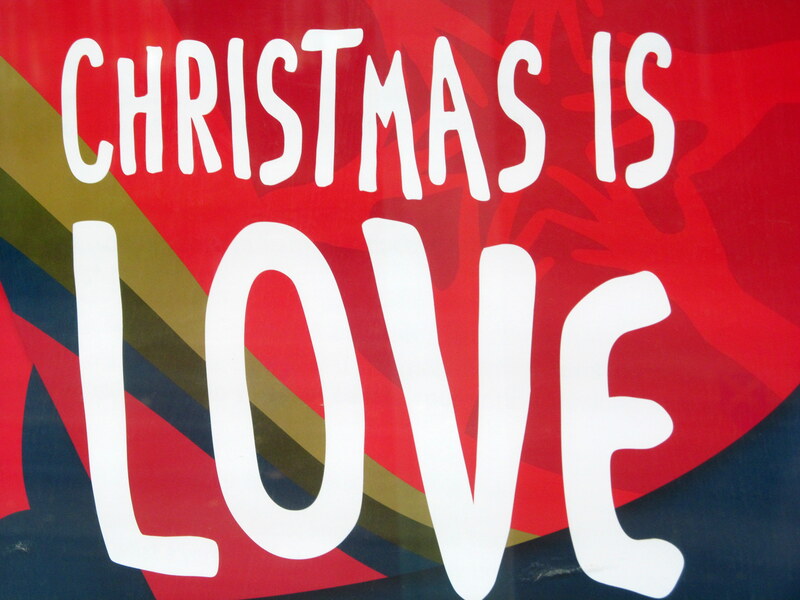 So sad, how a holiday that celebrates the birth of the child of love has become worldwide a strange “homage to stuff” instead.